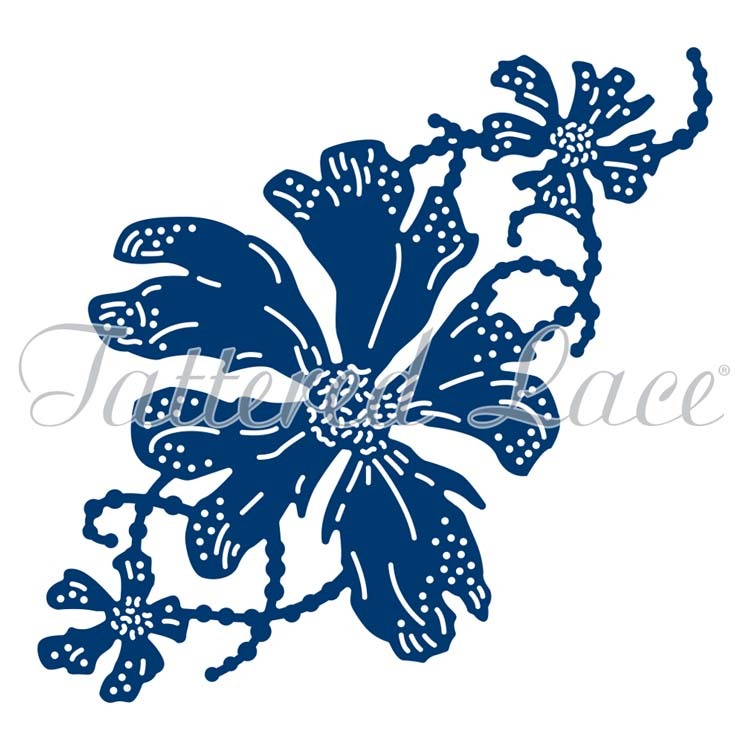 The Tattered Lace Fancy Floral die features a large flower head, complete with smaller flowers and the Tattered Lace pearl Chain design entwined between all three. 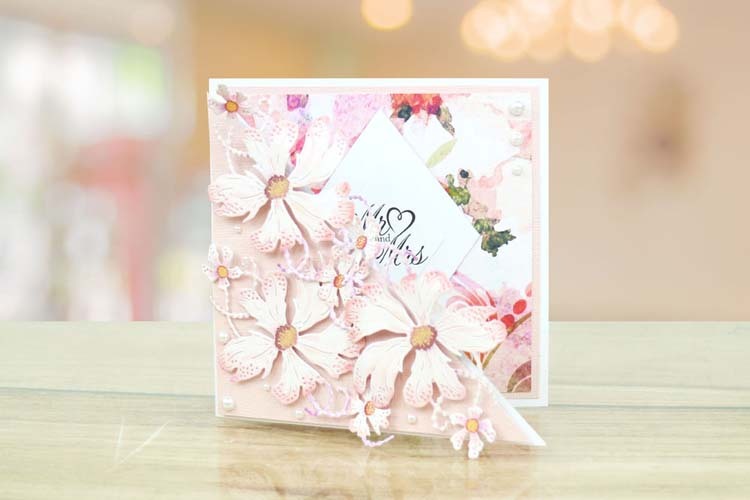 You can separate the flowers to create your own finishing touches, the smaller flowers work great as mini dies and add the perfect extra detail to gift tags and boxes. 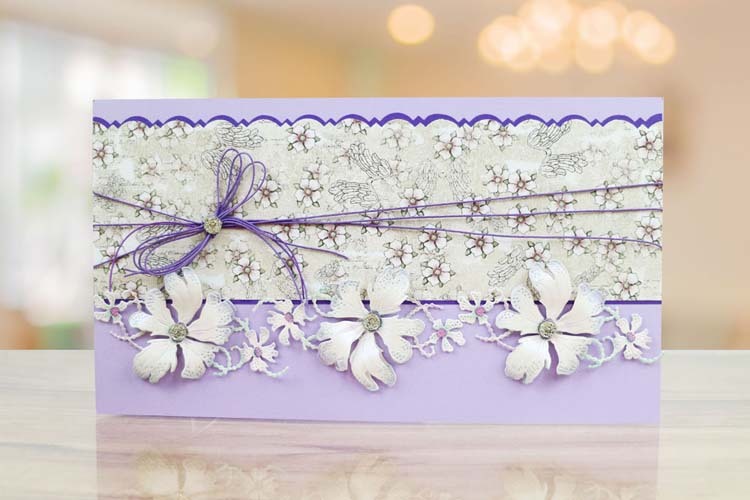 Snip into the design and layer the petals of the flowers to create a dimensional decorative embellishment. 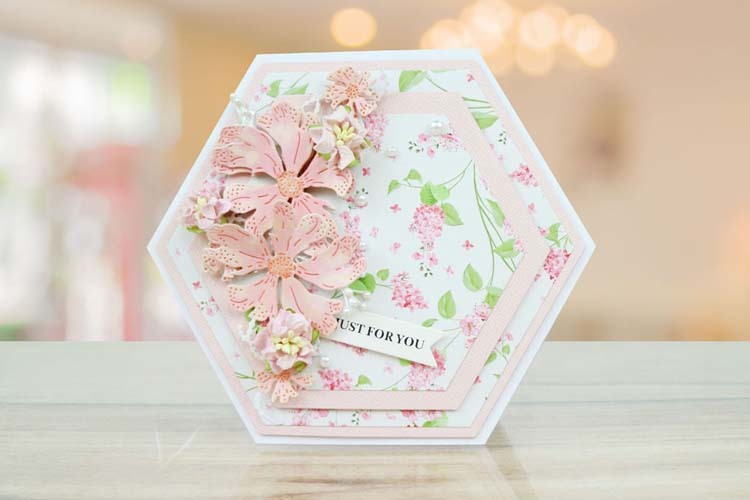 This die measures approx: 3.02" x 2.94"